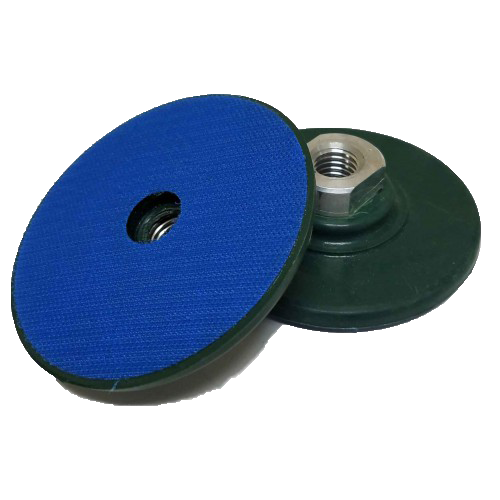 The Velcro Backing Pad is used to mount hand polishing pads. Comes with semi-rigid back and 5/8″-11 thread. Pad is semi-rigid and suits the applications of polishing floors and counters. Attaches to any Grinder.